A lymphedema sleeve will help reduce your symptoms and luckily we have these items available in our online store along with many mastectomy products that will allow you to get your life back on track. When we started Woman’s Personal Health we had one main thing in mind; to help woman of all ages overcome their battles and get back on their feet to continue living a life full of happiness and meaning. Our online store is open all the time so you can conveniently order when you need to make a purchase, whatever that may be. Try a lymphedema sleeve today to reduce your pain and begin to start inner healing so you can continue doing the things you love each day. There’s so many ways you can begin to look ahead in your life after a mastectomy or other life changing event happens. The products we carry at Woman’s Personal Health is just one way that you can begin to heal yourself by improving your image and gaining confidence once again. Using a lymphedema sleeve can take your pain away and help you to deal with the day to day discomfort. Check out the selection we have in our online store and get the best fit and compression that you specifically need to makes things better. If there are any questions about our lymphedema sleeves or any other products that we have in our online store please let us know. We would be glad to help if you have any questions regarding the products we carry or if you need assistance with sizing guides or charts that will help you get the best fit possible. 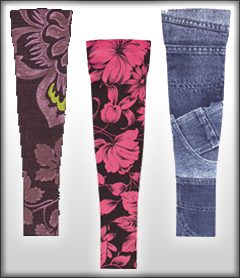 Try our lymphedema sleeve selection today and begin to feel the difference that you can experience. Healing comes from finding the best products and also a great support system to help personally move you along the right path.